Nate Overbay had an almost perfect life. He was married to the woman of his dreams, he had a good job, a beautiful daughter, a nice home, and good friends. All of that changed after his return from his military service after 9/11. His best friend died, he's suffering from extreme PTSD, he's lost his job, and he doesn't know how to fix things with his wife, Janie, and daughter, Cielle. Fast forward ten years and Nate is estranged from his wife and daughter. The divorce is almost final and only requires his signature of the final papers. He has a new job as a Professional Crisis Responder with the LAPD, and he's been diagnosed with ALS. Nate decides that rather than have his wife, and he continues to think of Janie as his wife, and daughter Cielle watch his slow decline, he'd rather kill himself. So off he goes to the 11th floor of the First Union Bank and climbs out on a ledge, but just when he's ready to jump, six robbers enter the bank, killing several people. Nate goes out on a metaphorical ledge when he decides to stop the robbers as they antagonize a mother and threaten to kill a small child. His heroic efforts save the lives of the remaining bank customers and workers, but now Nate's life literally hangs by a thread as he has thwarted the wants of a notorious Eastern European mobster. Nate is in a race to beat the clock, as he's been allowed five days to retrieve the information he stopped the robbers from obtaining or he may be forced to see his family, Janie and Cielle, killed. Nate must be as unnoticed as possible while attempting this task because he has become a person-of-interest to the FBI. Agent Abara knows that there is more going on than Nate is telling him, and he isn't sure if the lies of omission and commission are directly or indirectly related to the bank robbery. Nate also has to deal with the watchful eye of Yuri, sent by Pavlo, to keep Nate in check. As Nate struggles with the task assigned by Pavlo, he decides to confront Janie and tell her everything that is going on. As time winds down on Nate's deadline, Pavlo decides to show Nate that he isn't joking about his threats to Janie and Cielle. After an attack on his family, Nate must decide how to proceed. Is it possible for him to outsmart not only the FBI but also Pavlo and his gang? Can he do all of this even though his ALS symptoms are getting worse? 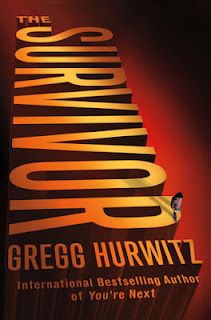 Mr. Hurwitz has provided a smart, suspense-thriller with The Survivor. It isn't possible to dislike Nate, even though he has pushed himself away from his family. There are times when I felt sorry for Nate and all of the things he has had to deal with: the death of his mother at a young age, an alcoholic and emotionally distant father, the Gulf War, the death of his best friend Charlie, his PTSD leading to the estrangement from his wife and child, and his diagnosis of ALS. Nate never sees himself as a hero and feels guilty for all of the harm he's brought to the people that he loves. Most of his guilt is centered on the fact that he did "nothing" when a bomb was left on the helicopter overseas. His buddy Charlie throws himself onto the bag containing the bomb and saves the lives of Nate and others. Even though Nate was able to free Charlie from the debris of the wreckage, Charlie dies from his injuries with Nate by his side. These moments provide the reader with glimpses of who Nate really is as a man. Even Janie and Cielle are able to forgive him from running away from them when the PTSD was really bad, and they are willing to work with Nate to thwart the bad guys. There's a lot of action, past and present, in The Survivor, and all are realistic. All of the characters, even the bad guys, are wholly believable. Nate may not consider himself to be a hero, but he's definitely one in the eyes of his family and to this reader. I felt sorrow, anger, and even fear while reading this story and never once did anything feel unrealistic or implausible. If you're looking for a well-crafted suspense thriller to read, then look no further. 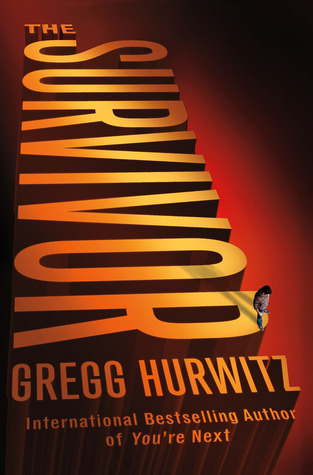 The Survivor is a great read and one that should be added to your to-be-read list as soon as possible. Just in case you couldn’t tell, I really enjoyed this story.